The ’80s-era lineup of Ultravox — Midge Ure, Billy Currie, Chris Cross and Warren Cann — last month announced plans to release Brilliant, their first new studio album together in 28 years, and today debuted the first music from that project, lead single and title track “Brilliant,” on British radio. You can stream the track below. 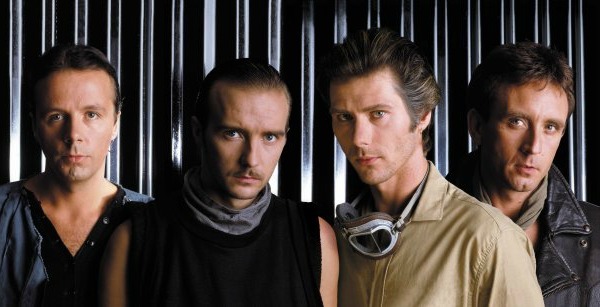 The album itself — the first from Ultravox since 1994′s Ingenuity, and the first from the band’s most commercially successful lineup since 1984′s Lament — is due out May 28 in the U.K.
interesting… shows promise… I’m very anxious to hear the entire album… probably won’t get a US release though… amazon.co.uk does have it up for order now! the US release date is June 5. thank you. U.S. looks to be digital-only on June 5. The CD is an import.